DDoS attacks are now part of the advanced threat landscape, with attack types varying by size, vector and desired outcome. Many security products claim to provide DDoS protection, but how effective are they? 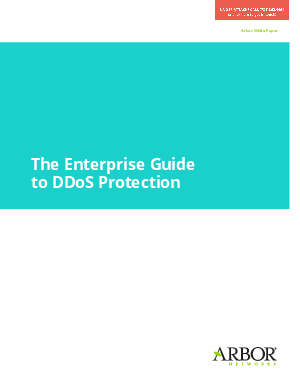 This paper outlines the challenges of DDoS attacks and describes the features you need in a DDoS prevention solution to more effectively protect your network from these threats. As a security professional, you’ve got a tough job right now. Most likely you are dealing with a constant stream of fastchanging attacks that make it difficult—if not impossible—to understand their triggers, profiles or effects. If you are not successful at blocking these attacks, confidential information may be accessed or stolen, valuable services may not be available to employees or customers, revenue may be lost and your company brand may be hurt.